Known for its backwaters and silver beaches, Kerala doesn’t fail to charm its visitors. 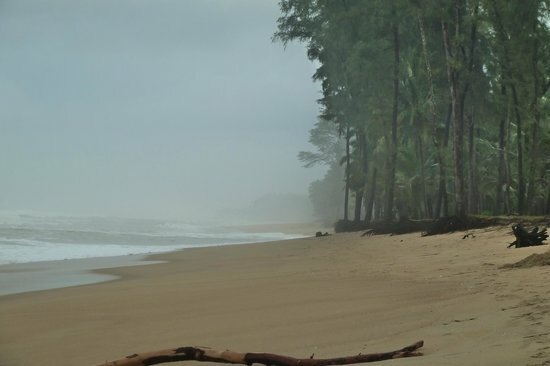 Here is a list of some of the top ten beaches of Kerala that call the ever thirsty traveller’s mind. Situated close to Kannur, Kerala, the twin beaches of Kizhunna Ezhara Beach are very little known and hence less frequented. The golden hue of the sands along the coastline and the sea water, together create a beautiful ballad of beauty and ecstasy. The place is a delight for the tourists and also the picnickers who travel from far and near. Sunrise and sundown are the two most significant moments that make for the most memorable occasions spent on beaches. This sea beach is several notches higher when it comes to experiencing both of these here. Dolphin’s Point offers the visitors a golden chance to spend with the dolphins. The lighthouse, the aquarium, and the Lion’s Park are other favourites of the tourists. If these aren’t enough, there are also two main piers that stand on the beach. These piers were built in the 19thcentury. 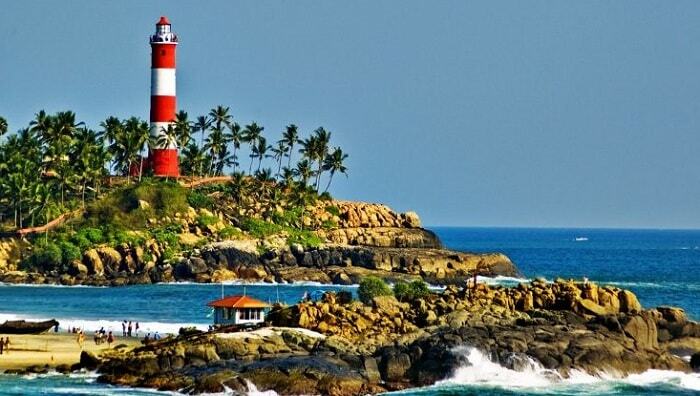 Kovalam is rich in beaches. One of its priced ones is the Lighthouse beach. The beach owes its name to a historic lighthouse that stands here on a hilltop. The place is dotted with several luxurious hotels that promise to offer that much-needed respite tourists crave for. The place is gorgeous with the options of having a visual treat of the beauty nature shows off here, as well as the various water games and activities that are available for one and all. 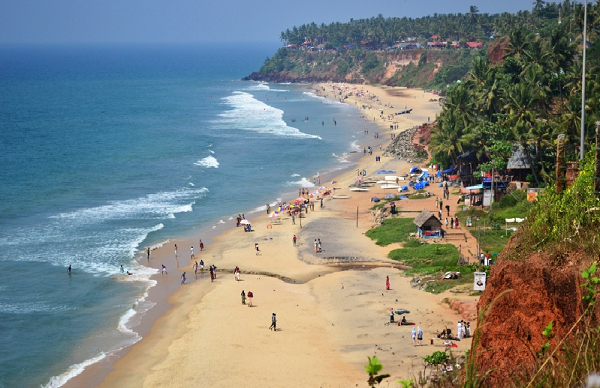 This beach is also popular by the name, Varkala beach. It is one of the budget tourist locations where the tourists can go on a short trip with minimum expenditure. Winters are the most expensive, and the busiest time to go here. However, at other time of the year, it is quiet and serene. The place also has cliffs which add to its exotic beauty. The word ‘Papanasam’ means that the waters of this beach can purify one of his sins, by having a bath in this holy water. Apart from these, water games and activities are already on the list. 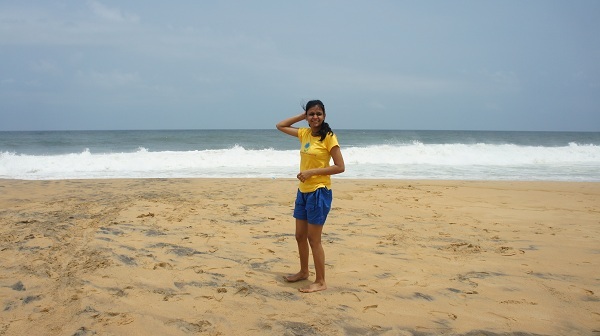 This beach certainly qualifies as one of the top places to visit in Kerala. Kerala is known for its backwaters, and Poovar confirms it doubly. There are a number of fishing activities, and hence there aren’t any water sports and activities. But that shouldn’t deter the tourists because once there, the place itself can engage one in its breath-taking beauty. With traditional Marshal Arts, and some swirling boat rides amidst the lagoons, forests, and groves no one will ever miss the water activities which are a common feature in every beach. It is noted for its white crystals of sand and pristine water. A sunset view at the beach is worth a thousand visits at the beach. The beach is also famous for a mermaid (MatsyaKanya)! No, not a real one though, but a very renowned sculpture by a great sculptor of the land. The place is simple away from the hustle and bustle but still manages to catch an eye of the visitors. With some South Indian snacks, a cup of coffee, and the spread of coconut trees all around, make a perfect company for those who are avid sunset watchers. 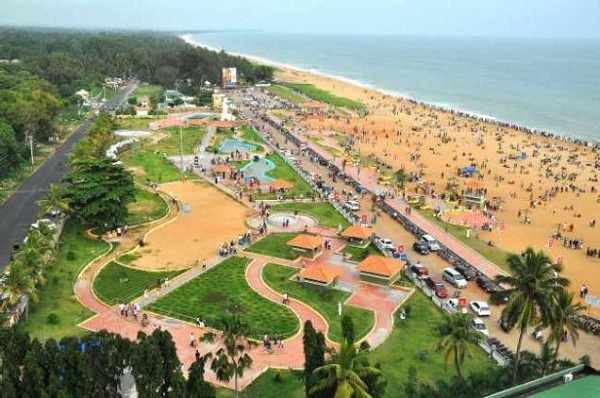 The beach stretches in the Kollam city. It is characterized by the famous lighthouse that it upholds, the marine aquarium, and the beautiful evening view with the setting sun at the backdrop. There are excellent resorts and hotels present on the beach which promise to provide good times of rest, comfort, and relaxation to the weary tourists. Relax! 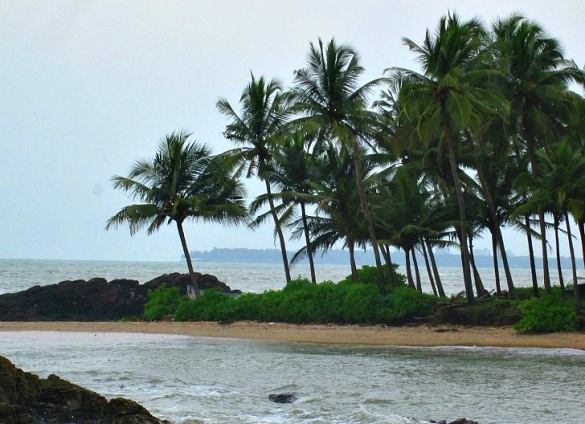 If this is all your restless mind is directing you to do, then Kappil beach is the top choice. The place is thoroughly unexplored and hence the least commercialized. 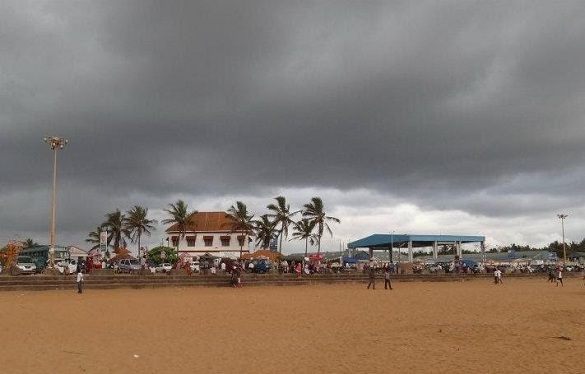 If the cities have taken a toll on the minds, and the heart feels wretchedly ill, Kappil beach will work wonders as a sanatorium to gather oneself together. Calm and serene, clear waters, clean sandy beach. If all these don’t appeal much then there is yet another reason to pack the bags for a tour at Kolavipalam Beach. This beach is famed to be the habitat of Olive Ridley Turtle. Hence the name, Turtle Beach. This Kozhikode beach becomes the den for the turtles during their breeding season (September-March). 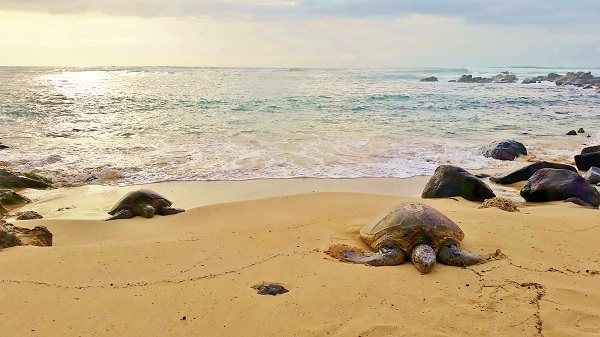 The local fishermen and residents toil really hard to keep steady the dwindling number of these endangered turtle species. 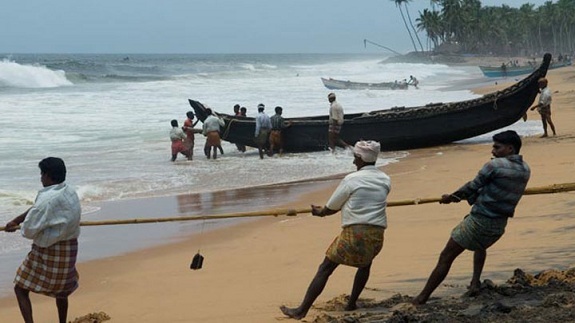 Very much accessible by rail, road, and air, this beach is located in close proximity to the capital city of Kerala, Trivandrum, and is also close to Shankumugham Beach. 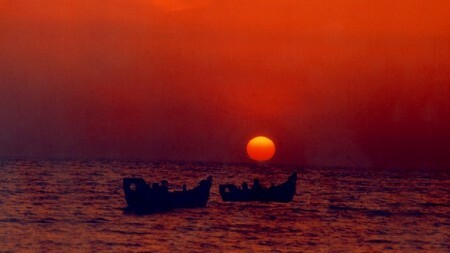 Valiathura is known for fishing and is also known as the fisherman’s beach. This used to be an active port at a time in history unlike now. It is also known for its tall pier. For the sea lovers, these beaches in Kerala are ideal to voyage out amidst the crimson evening sky, azure water, and pearl white sand.